Dr. Richard Dawkins, a distinguished professor of the public understanding of science, teaches critical thinking, challenges popular fallacies, and contributes intellectually to progress in a variety of ways such as by participating in public debates and publishing books that explain and explore important scientific subjects. With a well-earned reputation for being among the top experts in Evolutionary Biology, in part due to his many credentials that complimented his usual emphasis on an evidence-based understanding of the natural world, Dr. Dawkins easily wins debates with many proponents of Creationist mythology (a failed theological attempt at refuting Charles Darwin's "Theory of Evolution" under the guise of being an "alternative science"). 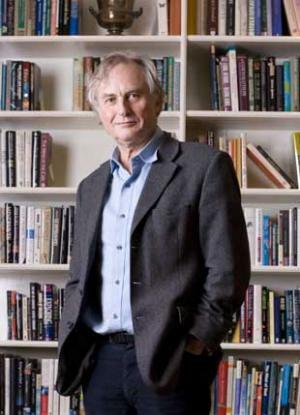 After a long career as a teacher who influenced the world by encouraging skepticism and inspiring critical thinking, Dr. Dawkins founded the prestigious "Richard Dawkins Foundation for Reason and Science" with the goal of promoting and supporting scientific education, critical thinking, and an ever-progressing evidence-based understanding of the natural world, primarily in a quest to overcome religious fundamentalism, superstition, intolerance, and suffering.